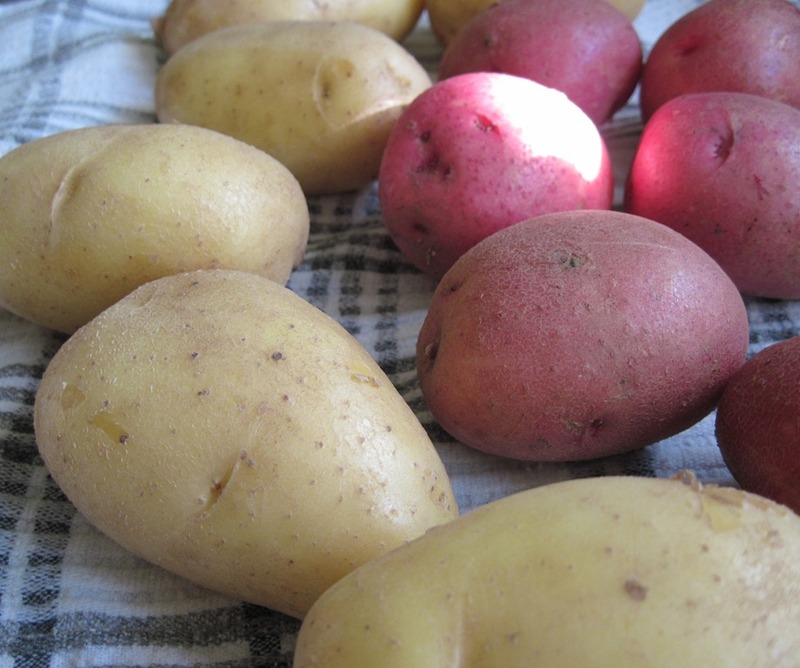 I picked some volunteer potatoes from the garden yesterday morning. You know the ones …they come up year after year no where near the current spud patch. No amount of raiding makes them disappear entirely and for that, I am grateful. These rogue potatoes are a sure thing every season. 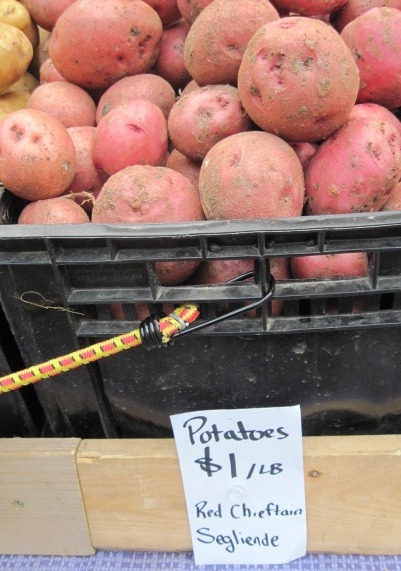 Our Farmers’ Market is bloated with potatoes – all shapes, sizes and varieties. 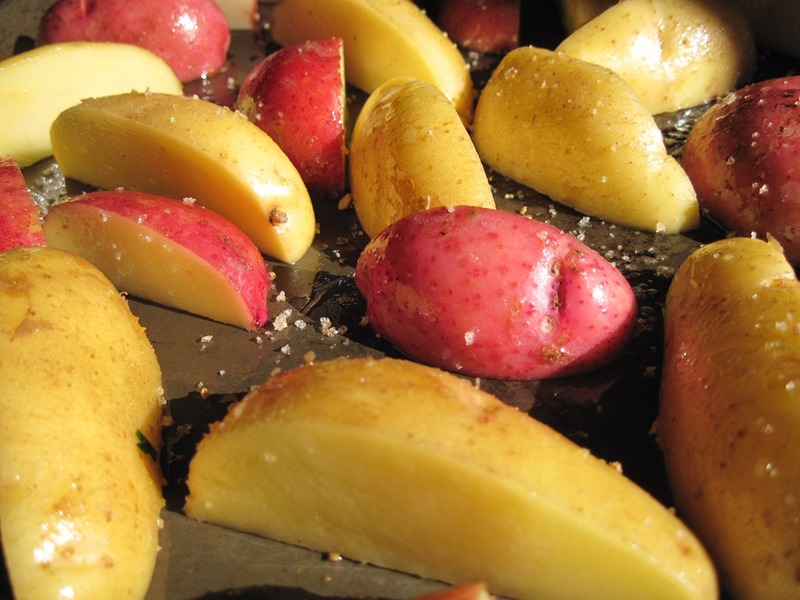 Today I roasted new crop potatoes for brunch with friends. There is no real recipe but a simple trick that seems to work for me makes for the crispiest potatoes. Who can resist? I find that one potato per person is never enough. They can be used later in salads, or sliced on pizza or just eaten cold as a snack. 2. Scrub potatoes. Quarter lengthwise, massage with oil and place on a rimmed sheet pan. Sprinkle with vinegar and coarse sea salt. 3. Put in oven. Now…don’t touch those potatoes. Leave them alone. It will take about 35 minutes before they attain a golden crispy exterior. When they lift off the pan, without your help, they are ready. In other words, let them get crispy on the bottom and when they release from the pan on their own, they are done. You don’t have to turn them, however, if you insist, you can turn them and let them cook a little bit longer but only if your guests are running late. 4. Place in a serving dish and enjoy. 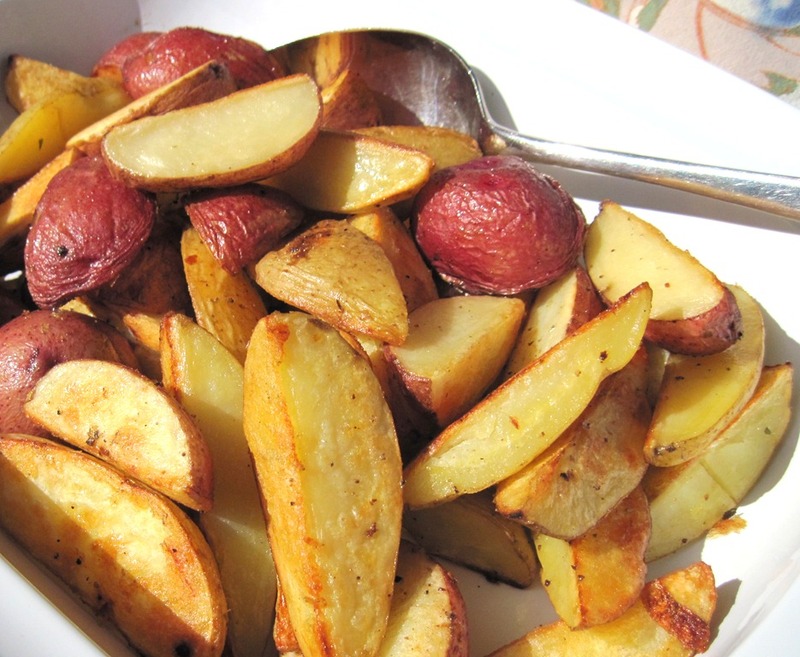 Made your vinegar roasted potatoes for dinner tonight using red & yellow mini potatoes & your tarragon vinegar!! Wonderful! Never would have thought to add the vinegar!